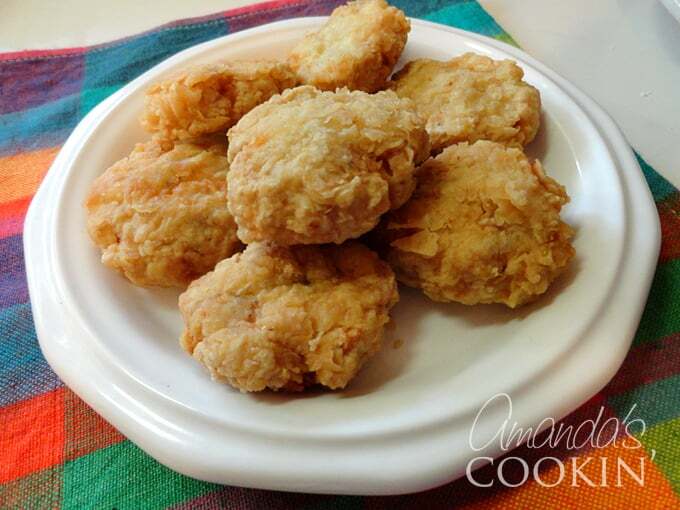 If you’ve ever wanted to try your hand at making chicken nuggets at home, you’ve hit the jackpot with this recipe. 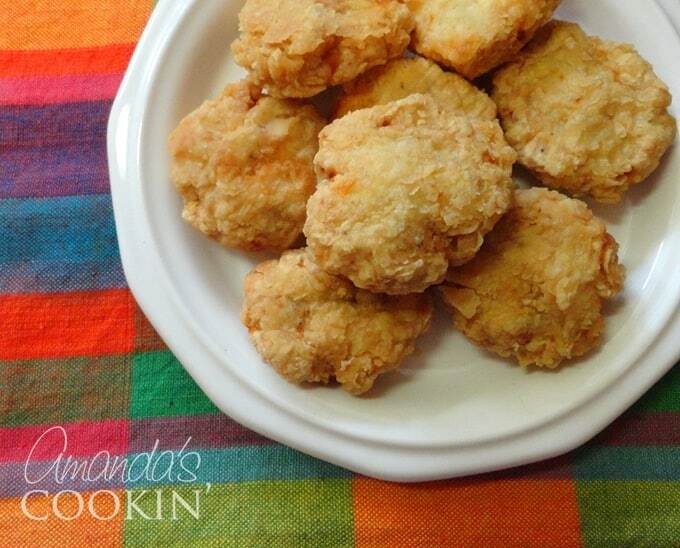 These chicken nuggets tastes just like McDonald’s but because you make them completely from scratch, you know exactly what is going into them. 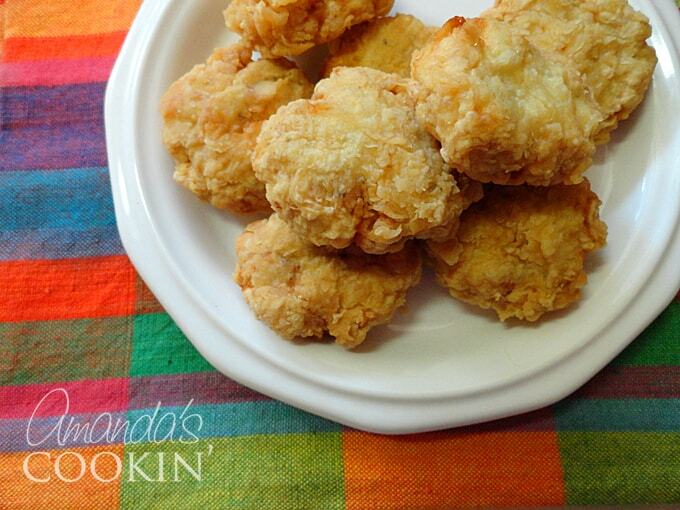 Grab the kids and make these today! 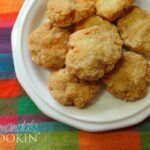 I have made these chicken nuggets several times now and each time they are met with rave reviews from my family and friends. 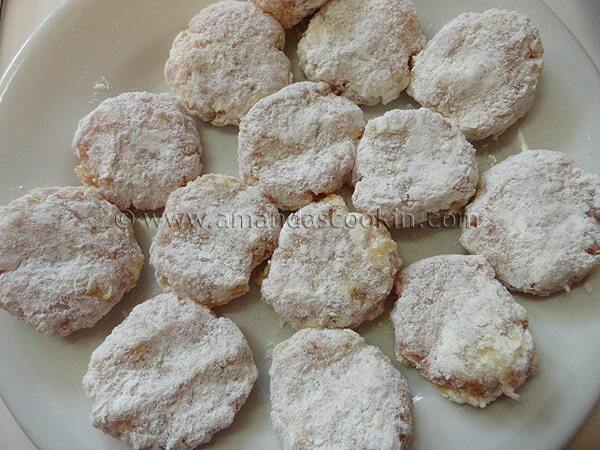 I’ve shared this recipe with others too and they have had great success as well! I encourage you to try it and let me know what you think. The chicken is raw, not cooked. 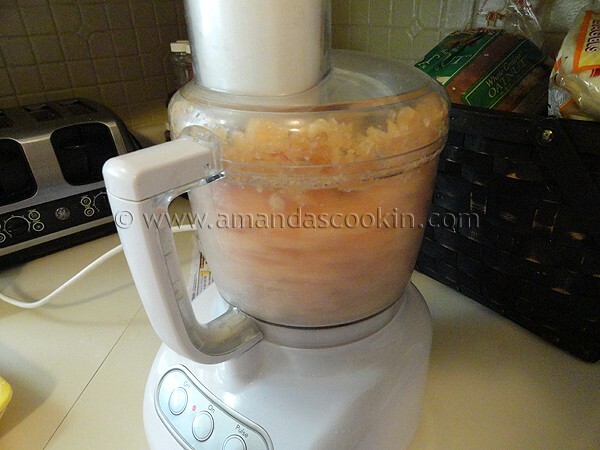 First you’re going to cut some boneless chicken breasts into cubes, then run them through the food processor. NOTE: The food processor pictured above is a cheap $70 model. It lasted me less than a year. The bowl (with the handle) broke three times – I had to order it from the manufacturer each time. By the time I got done paying for replacement bowls I could have bought a bigger, better machine. So I bought a Cuisinart 12-cup food processor that I absolutely LOVE. It works fantastic and it’s easy to clean. Only wish I had done it sooner! Here’s what it looks like when it’s done. 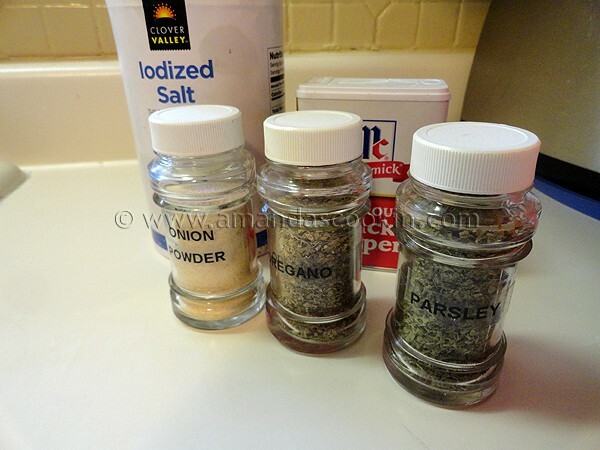 Mix together the salt, pepper, onion powder, oregano and parsley. Sprinkle it over the ground up chicken in a bowl and mix it all up. Whisk the eggs in a bowl. 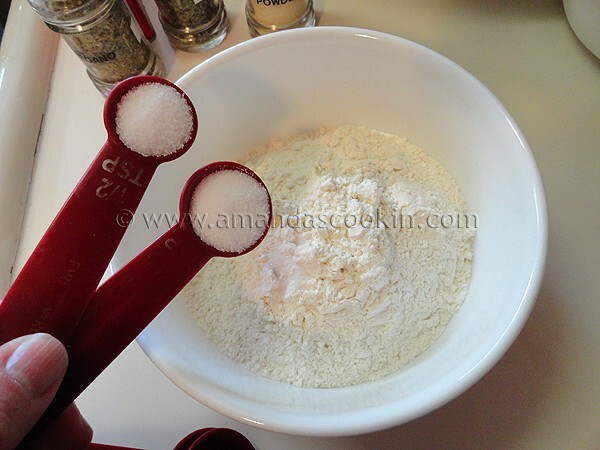 Mix the flour and salt in another bowl. 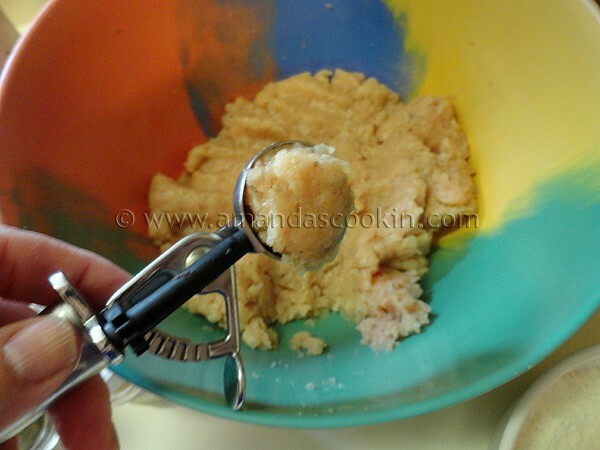 Use a cookie scoop to measure out chicken balls. Ha ha. Roll the balls smooth and get everything together. 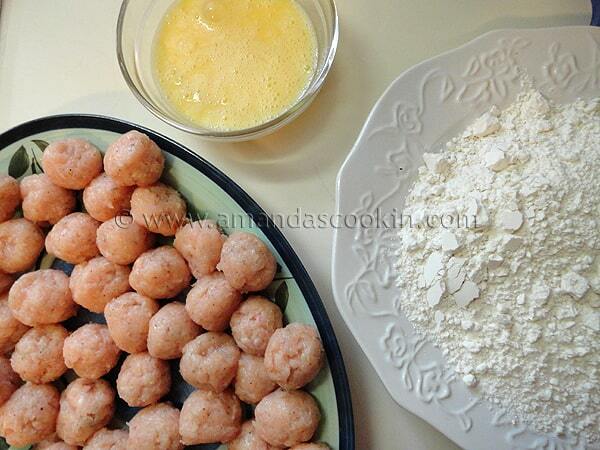 You’ll need your bowl of whisked eggs, your bowl of flour mixture, the chicken balls and an empty plate. First roll a chicken ball in flour. 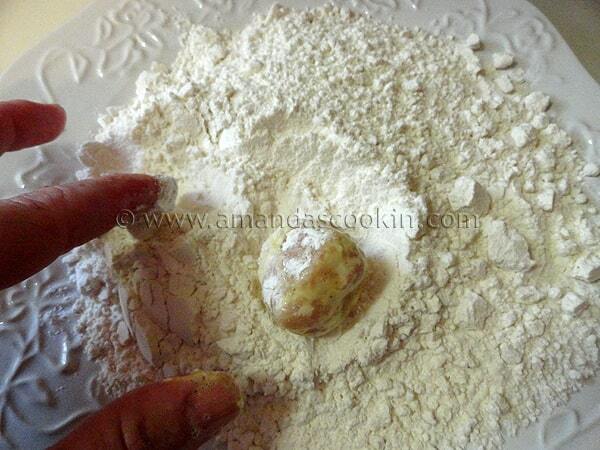 Coat the floured ball with egg. Coat it in flour again. I found that the best way to do this was to actually use one hand for the egg and the other hand for the flour so that the flour doesn’t end up clumping all over your egg-y wet fingers. 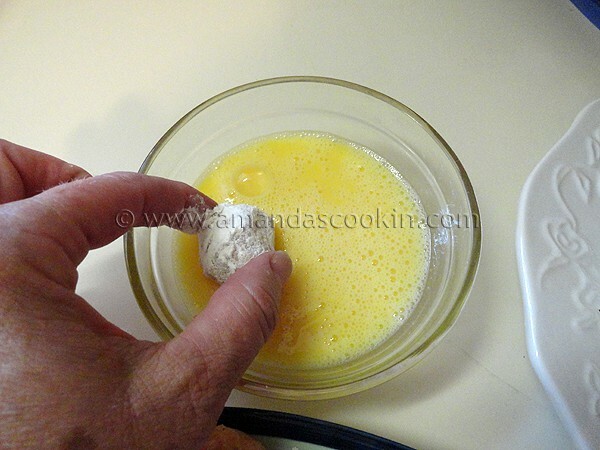 Then place the flour chicken ball on a plate and gently flatten it with your fingers. I used my fryer set at 365F, but you can use a cast iron Dutch oven or even a heavy bottomed sauce pan too. In my fryer it took about 7.5 minutes, I flipped them over halfway through. Drain them on paper towels. 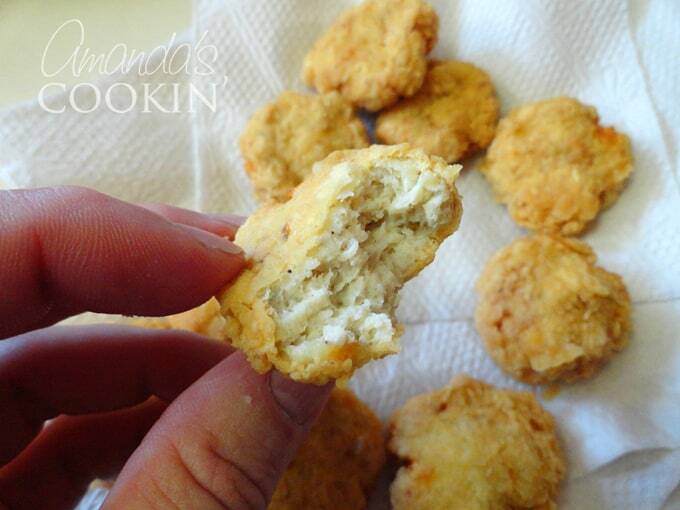 Now you can make chicken nuggets at home and know exactly what's going in to them. A fun recipe to get kids involved with too! Heat oil in a heavy-duty skillet or saucepan on medium-high heat. Set a candy thermometer in place. 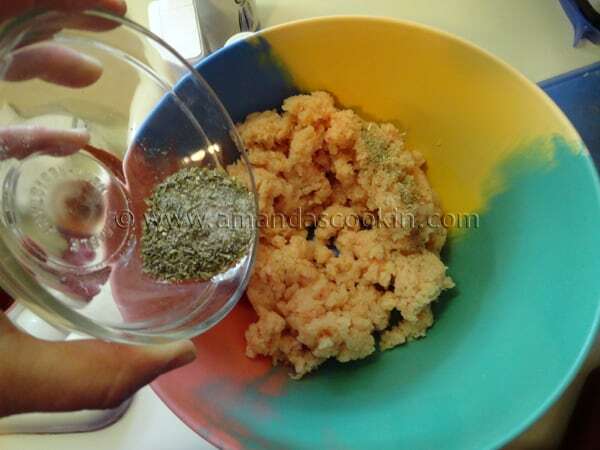 While oil is heating, cut chicken breasts into cubes, then place in a food processor. Process chicken into a fine paste. Transfer processed chicken to a bowl. Combine salt, parsley, oregano, onion powder, and pepper, and sprinkle over chicken. Combine well. 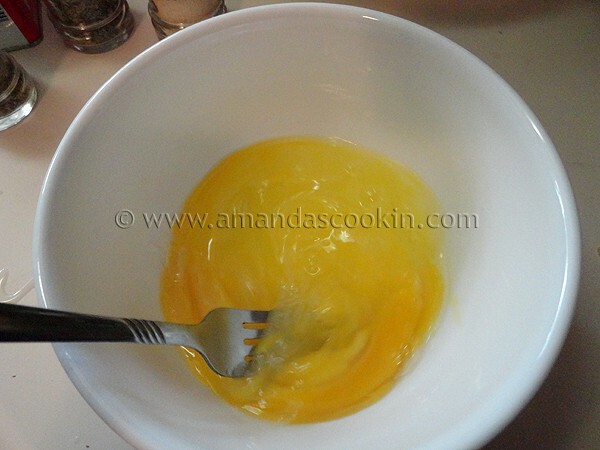 Whisk eggs together in a small bowl. Combine the flour and salt and put it on a plate. 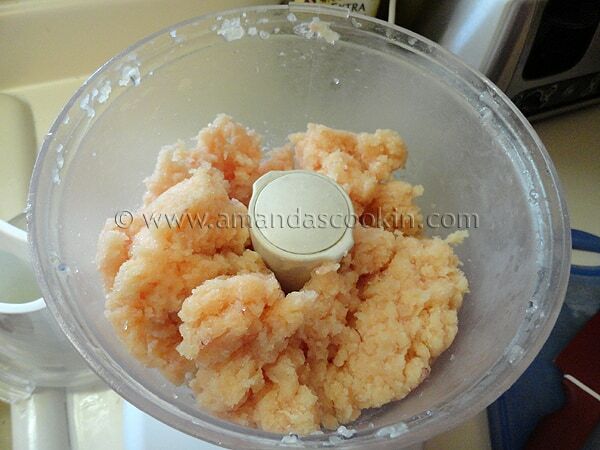 Measure chicken paste out with a cookie scoop and roll into 42 balls. 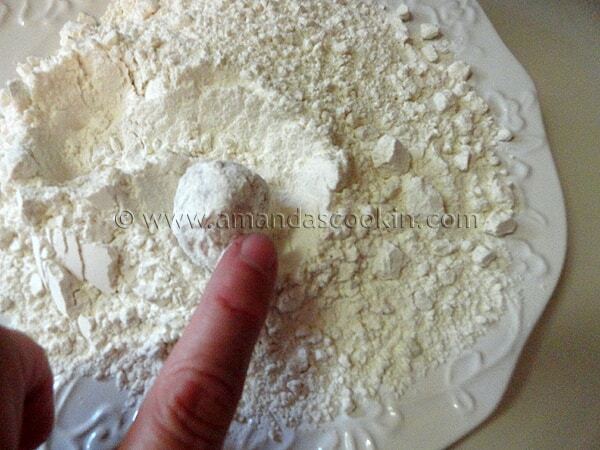 Roll ball in flour, then coat with egg, and then coat in flour again. 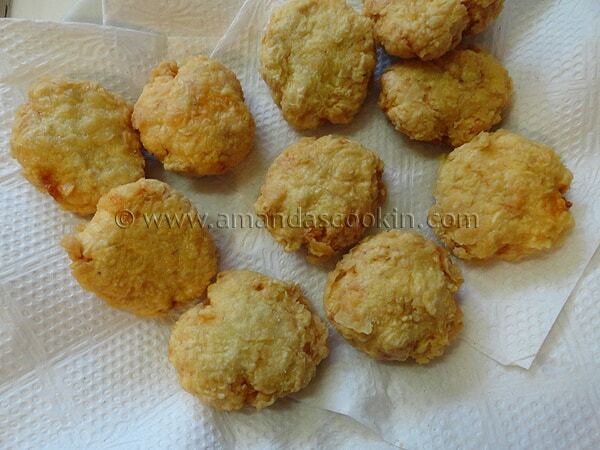 Use your fingers to press the ball down to make a nugget. Once oil reaches 350-365 F place as many nuggets as possible in the oil, and fry until the bottoms are golden, turn and fry until the other side is golden, about 4-5 minutes per side. Remove to a towel-lined plate (to catch any excess oil). 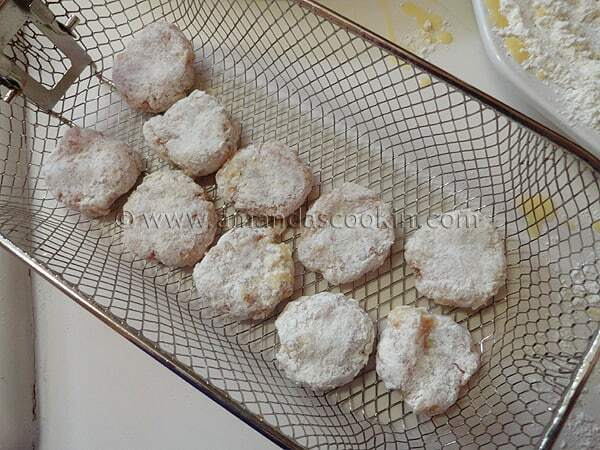 Can I use shake and bake coating rather than flour and egg? And then bake it? These are amazing. I have the pickiest kids I’ve ever met and they gobbled these up without a second thought. I’m in complete shock. Thank you so much for posting. 5 stars!! I know you posted this awhile ago so I am,not sure if you will see this but do you thimk this would work in an air fryer as well? I just got one and would love to try this! Oh I wish I could answer that with certainty! I have never tried that before. However, I would THINK it would work. Will you let me know if you try? Thanks for this recipe! Some days this is the ONLY thing my grandson will eat! Since we are trying to control what we eat and want to know exactly what is in it, is there a “healthy” oil that can be used? Canola is not really a “healthy” oil. Since it is high temp, olive oil is out. Possibly a combination of coconut & sunflower? Or do you have another suggestion? Thanks again! I have read that coconut oil is the healthiest for frying! Could you cook these in the oven? I don’t fry. Thanks, Cheryl. Hi Cheryl. I have not tried them in the oven myself, however I believe it would be fine. Again, haven’t baked them myself, but I would GUESS 400 F and just keep checking them. maybe 15-20 minutes? Hi Tanisha. I do not have a recipe on this blog for fish fingers, sorry about that! Just wondering if one could use ground chicken in place of chicken breasts because it is ground chicken breast when I purchase at store? KNOWING GRANDMA CAN ACTUALLY MAKE THESE AT HOME. THANKS FOR THE RECIPE. CANT WAIT TO MAKE THEM. BET YOU COULD FREEZE THEM, & REHEAT. DIRECTIONS WOULD PROBABLY BE THE SAME AS PACKAGED FROZEN NUGGETS, RIGHT? I am not sure about that Pam, I haven’t tried that yet. let me know if you do!